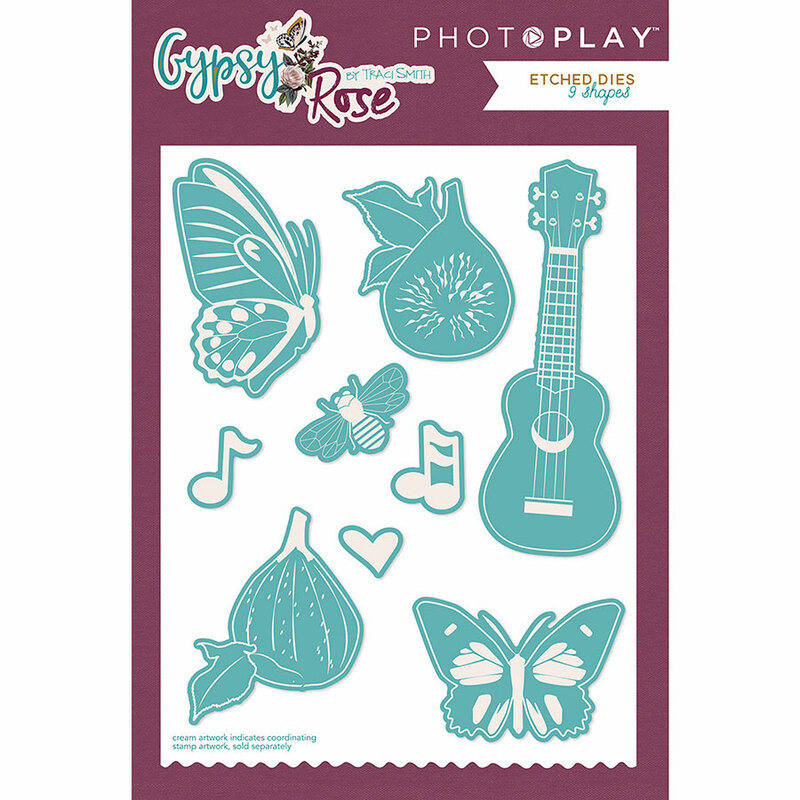 This package contains nine (9) Designer Etched Dies that coordinate with the Gypsy Rose Collection. Perfect for accenting any of your Craft Projects. Look for coordinating Designer Etched Dies, PhotoPolymer Stamps, Ephemera Die Cuts, Sticker Sheet and Designer Papers.